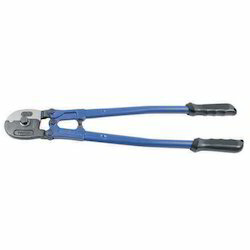 Heavy duty steel wire rope cutter with cutting capacity of 7 mm Ø (SCC-60) 14mm Ø (SCC-200). The tool is made from chrome vanadium steel with heat treatment and comfortable handles. 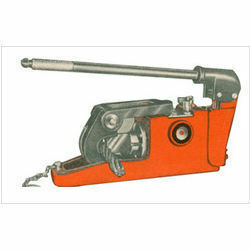 Micon Hydraulic wire rope/cable cutter works, as the name suggests, on hydraulic principle, and is meant to cut cleanly and easily, wire ropes/cables of various sizes. We have gained a remarkable position in the market that is involved in offering Wire Saw Rope Cutting to our customers..
We are counted among the leading organizations, engaged in supplying premium grade Hydraulic Wire Rope Cutter.